Full bin pkg, O.S.H.A. Bulkhead, Runs Great, 1 owner, fleet serviced and maintained, ready to work. Dump Trucks Kenco can supply your needs. Kenco Trucks & Equipment Local: 866-434-7632 Toll Free: 540-434-7632 -------------------------------------------------------------- We specialize in your commerical equipment needs! Need Construction equipment? We can also help with this also. We can supply you with: Telescoping Forklifts, JLG Lifts, Mini Excavators, Track and Wheel Skidsteers, Light Towers and much more. 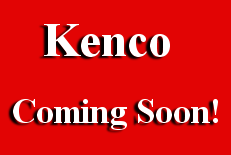 At Kenco you can rent by the Day, Week or Month. If you want vans Kenco has them! 1/2 ton, 3/4 ton and 1 ton all ready to roll. Virginia tax, title & $99 processing fee not included in price!